Broadcom Corporation, a global innovation leader in semiconductor solutions for wired and wireless communications, has introduced the next generation of its widely deployed mid-range cable and IPTV set-top box (STB) system-on-a-chip (SoC) devices. The upgraded chips now integrate the High Efficiency Video Coding (HEVC) to provide up to a 50 percent reduction in bandwidth for similar video quality, allowing operators to leverage huge bandwidth cost savings as they migrate to cloud based all-IP video delivery. Broadcom's upgrades to its high-volume cable and IP STB silicon solutions are engineered as hardware drop-in upgrades to existing designs for fast and low-cost OEM and operator modernizations to existing high-volume production platforms. 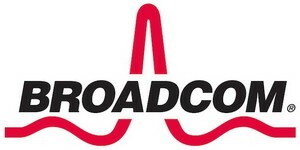 "Broadcom has integrated its industry-leading 10-bit HEVC decoder technology into its most popular mid-range IP and cable set-top box solutions to enable OEMs and operators globally to quickly upgrade current customer premise equipment to the most advanced compression standard," said John H. Gleiter, Broadcom Vice President, Broadband & Connectivity Group. "Broadcom continues to lead the industry in efforts to proliferate HEVC across set-top box platforms and enable operators to provide video more efficiently than ever to subscribers worldwide." Broadcom's BCM72415, BCM74285, BCM74295, and BCM7430 are currently sampling. 0 comments on "Broadcom Adds 10-Bit HEVC to Widely Deployed Mid-Range Cable, IP Set-Top Box Devices"